Created and maintained by Zvi Har’El, in loving memory of his son Gilead. Reviewed in the Lycos TOP 5% directory, chosen as Yahoo! Danmark Cool Site, chosen as Britannica Noteworthy Site, and referred to by many other sites. Being a part of the Danish National Literary Archives, this site contains all Andersen’s tales and many of his novels in their original Danish form. Arranged both chronologically and alphabetically. Andersen’s manuscripts in the Danish Royal Library. From the Image Database of the Danish Royal Library: A sampling of 85 portraits of Andersen. Bo Benstsen assembled in this site a collection of 21 Andersen portraits. A collection of 129 portaits of Andersen at Odense City Museums. A list of Andersen related sights in Odense, including the Andersen Museum, his childhood home, and the Tinderbox Children’s Cultural Center, maintained by the Odense Tourist Bureau. See also Odense City Museums. Andersen Center in Odense University, headed by Johan de Mylius. Mostly in Danish, many English pages, including Life and Works. A Timetable 1805-1875, Chronology of Andersen’s Life and Greeting from Victor Borge to Hans Christian Andersen. The latter also includes Anderse’s beloved song “Danmark, mit Fædreland” (“I Danmark er jeg født”) in English translation and with a recording, made exclusively for the Center’s website, of Victor Borge playing his piano arrangenment for Henrik Rung’s music. Maintained by Per Hofman Hansen and Iben Holk in the Silkeborg library in Danmark, where the original copy of Christine’s Picture Book is held. Part of the Danish novels before 1900 web site. In Danish. Maintained by the Royal Danish Ministry of Foreign Affairs, this site contains The Story of Hans Christian Andersen by Johan de Mylius, a chronology of Andersen’s life, illustrations of Andersen’s portrait, childhood home, paper cut, a map of the journey described in “A Poet Bazaar”, and more. See also the Royal Danish Embassy site in Washington, D. C.
By Johan de Mylius, in Denmark, a publication by The Royal Danish Ministry of Foreign Affairs in cooperation with the editors of the Danish National Encyclopedia. The official Web site of this center, located at the Central Park in New York, sponsored by the Hans Christian Andersen Storytelling Committee and the NYC Department of Parks and Recreation. A monthly publication of the Consulate General of Denmark in New York, often contains articles related to Andersen and his work, e.g., A Danish Swan in Central Park: A Summer of Fairy Tales by Hans Christian Andersen (see also 1998 and 1996 schedules), The Headless Mermaid, The Fir Tree, The Princess and the Pea, The Little Mermaid. An article in the Encyclopædia Britannica Online. This site is dedicated to a manuscript of an unknown Andersen’s 1836 poem, “To Frederik’s Mother,” recently found in a sofa by Ida, the daughter of the maintainer, the psychologist Mogens Mørch Mønsted. Danish, with English Summaries. Every other year IBBY, the International Board on Books for Young People, presents the Andersen Awards to an author and an illustrator, living at the time of the nomination, whose complete works have made a lasting contribution to children’s literature. See also the site dedicated to 1992 winner, Virginia Hamilton, and to the 1996 winner, Uri Orlev. Since 1967, on or around Andersen’s birthday, 2 April, International Children’s Book Day (ICBD) is celebrated to inspire a love of reading and to call attention to children’s books. Part of the Postage stamps of Denmark site. Include six stamps: The Ugly Duckling, Hans Christian Andersen (four stamps), and The little Mermaid. Issued 4 October, 1935. The page 100th year of the death of Hans Christian Andersen includes three more stamps: Numskull Jack (drawing by Vihelm Pedersen), photo of H. C. Andersen (from 1874, by George E. Hansen), The Marshking’s Daughter (drawing by I. Frolich). Issued 28 August, 1975. Finally, the page Europe stamps, stories and legends includes two more stamps: The Tinder-Box, Thumbelina. Issued 28 August, 1997. This website, part of the unique Art History on Stamps site, is created and maintained by Ann Mette Heindorff, a Danish stamp collector through many years. See also her pages about the Danish Christmas Seals for the years 1975, showing Andersen’s paper cuts, and 1994, featuring Andersen’s fairy tales. Hans Christian Andersen wrote a poem in 1831 called, “Formens evige magi”, i.e. the eternal magic of the shape. It was directly inspired by the Pythagorian Theorem, a² + b² = c². An mathematical exihibit in the Experimintarium, in Hellerup, Denmark. The Danish text of the poem may be found in the Aalborg Katedralskole web site. Old Danish songs, with texts by Andersen, including the composer names and a MIDI file of the music. Andersen’s lied texts, some with English translation, including the composer names. See also Yggdrasil. 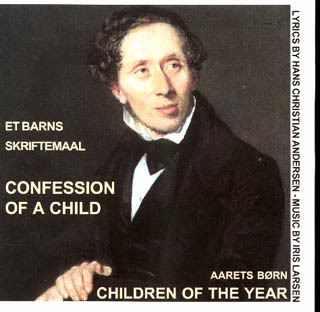 The Danish composer Iris Larsen, is setting many of Hans Christian Andersen’s poems into music. Andersen wrote about 2000 poems from his earliest youth until his death in 1875. More than 30 of Andersen’s poems, with Iris Larsen’s music, are avalible on two CDs. On this web site you can listen to examples of Iris Larsens music in mp3 audio! French versions of 53 of Andersen’s tales. Same site also contains a biography, a lithography of Andersn’s childhood home, and the honorary citizen diplome Andersen received from the ciry of Odense. See also Contes de Hans Christian Andersen. Two of Andersen’s tales, translated into Spanish by Eliseo Diego. Andersen’s Fairy Tales and Stories in the Swedish “Project Rurenberg”. Currently contains just one tale, The Princess and the Pea. The German “Project Gutenberg” site, containing German versions of 159 Andersen’s tales and 5 poems, arranged alphabetically. This site, maintained by Don Harlow, includes a collection of 25 fairy tales by Andersen, translated into Esperanto by L. L. Zamenhof, and an Esperanto article about Andersen. Except In a Thousand Years, which belongs to the volume 3, the collection is the electronic format of volume 4 of Zamenhof’s translations, originally set by Hirotaka Masaaki in Elektronika Arkivejo de Esperanto. Volumes 1 and 2 (48 stories) may be found here. The rest of volume 3 (20-30 stories) is not available on-line. 20 tales by Andersen, translated to Interlingua by Thomas Breinstrup. Illustratations by Henrik Breinstrup, Vilhelm Pedersen and Lorenz Frolich. 8 tales of Andersen, translated into Polish. This site examines the life of one remarkable man to explore a variety of themes in European history and culture. The development of an interactive multimedia programme reflects both Andersen’s interest in the new technologies of his own time, and his enduring popularity in media which only emerged decades after his death. See also Multimedia Hans Christian Andersen. Scandinavian 375/Literature in Translation 275: The Tales of Hans Christian Andersen. A large number of Andersen’s most significant tales are examined in the context of Danish society of the 19th century and of Andersen’s life—his amazing rise from abject poverty to world-renown as a writer. Niels Ingwersen’s course in the Department of Scandinavian Studies at the University of Wisconsin at Madison. 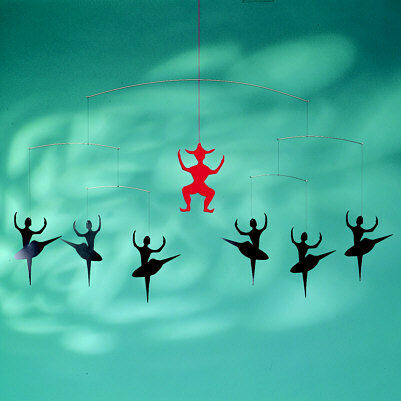 The 1952 musical, starring Danny Kaye, nominated for 6 Academy Awards. See also E! Online Fact Sheet and TV Guide Online. A musical in two acts by Tommy Steele and Beverley Cross. Lyrics and music taken from the film score and other works by Frank Loesser. Additional songs by Marvin Laird. Produced at the London Palladium, 17 December 1974, revived there 17 December 1977. American Conservatory Theater is thrilled to present the world premier of a magical new musical. Music and lyrics by Frank Loesser, book by Sebastian Barry, based upon the Samuel Goldwyn Motion Picture, directed and choreographed by Martha Clarke. Produced at the San Francisco Geary Theater, August 31 - October 8, 2000. A comics adaptation of Andersen’s tale, written by Michael O’Connell and drawn by Jeff Curtis, published in Mythology, no. 2, February 1997. Jeff Kelly’s site Web Text-ures includes an online copy of four Andersen’s tales with Helen Stratton’s vivid illustrations: The Tinder Box, The Swineherd, The Darning-Needle, The Leaping Match. This site, maintained by Melissa Griswold, includes adaptations of several Andersen’s tales, illustrated by Edmund Dulac: The Real Princess (The Princess and the Pea), The Nightingale, The Snow Queen (Gerda and the Reindeer), The Snow Queen, The Little Mermaid. Andersen’s The Snow Queen, with Edmund Dulac’s illustrations. A 1994 christmas stamp sheet from Denmark entitled H.C. Andersen’s Fairy Tales is the opening page of a site, created by Christine Lind Pedersen, a graduate student at Columbia University. The central logo links to a short biography of Andersen, and the 16 stamps link to the texts of 10 of Andersen’s tales. A page created by Sabine Keil, a student at Odense University. Unfortunately, it has not been updated since June 1996, and many links are broken. Central Park, Conservatory Lake, New York City, 1956. In this sculpture by Georg Lober, Andersen is shown as a kind, friendly man holding a large, open book. The artist made the sculpture large enough so that children could climb up and sit in Andersen’s lap to look into the book. The Hans Christian Andersen Museum is operated by the Ugly Duckling Foundation, a non profit organization established to foster public understanding and enjoyment of Hans Christian Andersen and his work. It is located in Solvang, California, the Danish capital of America. A Real Shop & an E-Shop in Copenhagen. The real shop is located in third floor of Illum’s department store in the center of Copenhagen, “but you don’t have to go to Copenhagen and Denmark for shopping”. The sites of various facilities named after Andersen. No real Andersen related content. Open Directory, AltaVista, Excite, Google, HotBot, Infoseek, LookSmart, Lycos, Northern Light, Yahoo! Andersen’s English readers will find the Danish-English and English-Danish online dictionaries particularly useful. Even better, Learn to speak Danish, and consult tsca’s Danish Grammar in English.